Shadow Hills is a beautiful gated community in Indio, California. The community consists of all single story homes and is known most for its RV parking that is included with the majority of homes. The neighborhood offers various parks, including one with a tot lot. Shadow Hills is also dog-friendly offering meandering trails to walk your pet. Homes for sale in Shadow Hills will offer open floor plans, casitas, spacious backyards, swimming pools, and mature landscaping, and up to 3 car garages. Search Homes for Sale in Shadow Hills. The real estate market in Indio is in high demand right now with home buyers. Buyers in particular like Shadow Hills for its low monthly HOA fee's in a gated community and it's additional side RV parking. 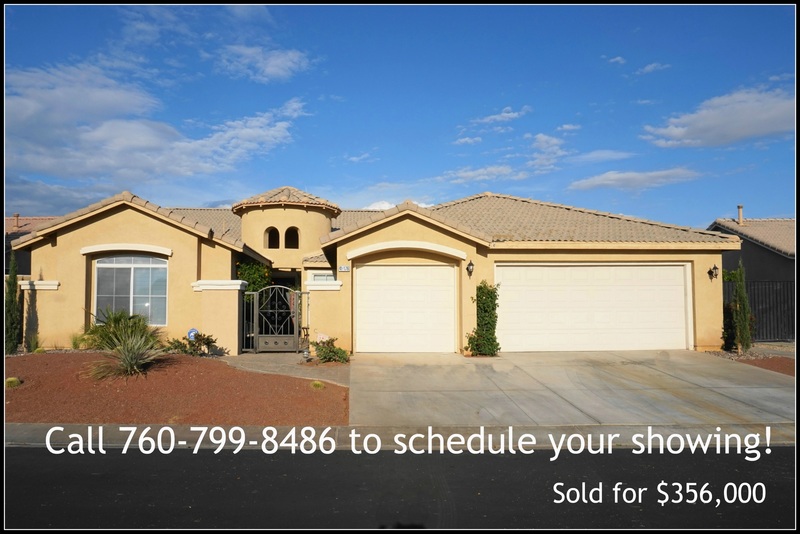 The neighborhood is close to shopping, restaurants, casinos, and golf all within minutes. You never have to travel far if you don't want to. Built in 2004 and 2005 by Century Home Builder, the community of Shadow Hills consists of all single story homes and is best known for its RV parking that is included with almost every home. Homes for sale in Shadow Hills offer open floor plans and some include casitas, spacious backyards, swimming pools, mature landscaping, and up to 3 car garages. The floor plans have 2 to 4 bedrooms and 2 to 3 baths ranging from 1379 sq.ft. to nearly 2700 sq.ft. of living space and spacious lots. The monthly HOA is approximately $200-260 and covers amenity and landscape maintenance and managment. Located off Jackson Street near the I-10, Shadow Hills is a prime location for those looking for a newer home in a gated community with low HOA fees. Easy access to the freeway and just blocks away from major retail shopping and restaurants with more still to come. New stores include IHOP, Walmart, Starbucks, Winco, Target, and an AM/PM Gas station. Ronald Christopher & Associates is well traversed with Shadow Hills. Having represented both buyers and sellers in the community throughout the years. Our most recent sales in which we represented the sellers for both properties are: 83125 Singing Hills Drive sold in May 2016 for the asking price of $265,000 and 41176 Aetna Springs Street sold in June 2016 for $356,000, asking price was $349,000. If you would like a free market valuation of your home, please click the link here.